How do you feel about figuring out a really scary beast of a retro console music file? You are invited to use the VM we prepared for you, which contains a player and the song file. 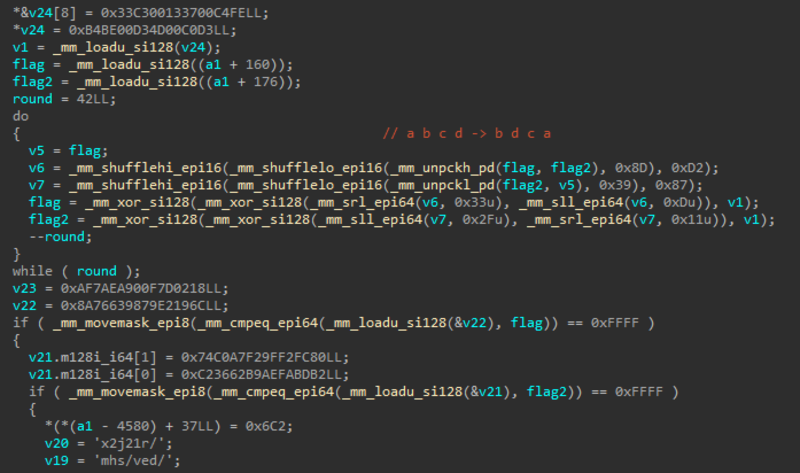 play_me.spc: SNES SPC700 sound file, version 0.30, with ID666 tag, song "PUT FLAG HERE TO PLAY MUSIC", game "33C3 CTF"
commit 2cbb70f3c27412db7e54ca65fa1a3fac3f6a7d64 to build libgme and gme_player. Redux: compromising Linux using… SNES Ricoh 5A22 processor opcodes?! y = temp >> 8; // <-- !! y = ya - a * x; // <-- !! y = x   + (ya - x * 0x200) % (256 - x); // <-- ! !